Kylie completed her Bachelor of Laws at Murdoch University in 2010. During Kylie’s final year of study she completed practical legal experience at a Community Legal Centre. In April 2012, Kylie was admitted into practice in the Supreme Court of Western Australia. 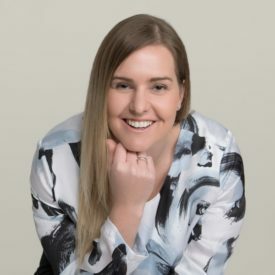 Kylie previously worked at a small boutique firm specialising in Family Law for 5 years as a legal assistant, articled clerk and then lawyer before joining the Leach Legal team in October 2015. Kylie has worked solely in Family Law since her graduation from University and has gained extensive experience working on divorce, property and children’s matters with various degrees of complexity, including care arrangements, relocation, spousal maintenance and property settlements. Kylie has attended mediations and has utilised her strong communication skills to conduct many successful negotiations on behalf of her clients. Kylie works hard to create workable agreements as efficiently as possible. Where necessary, Kylie regularly appears in the Family Court of Western Australia for all hearings and has successfully completed a number of trials as Counsel. Kylie is a member of the Family Law Practitioners Association.